Barndominiums are getting increasingly popular, especially on social media sites such as Pinterest where users can upload their favourite designs, or even their barndominiums, for collection on boards or be pinned by the masses. With a wide variety of designs to choose from, and interiors that range from open plan basics to fully kitted out and integrated rooms, you can customise your barndominium to match your exact needs. 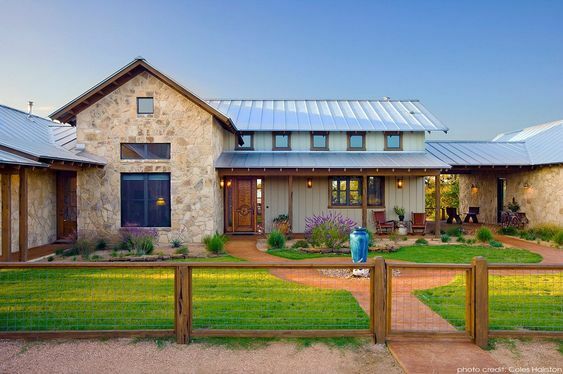 With that said, let’s take a look at the top 10 barndominium designs that are going crazy on Pinterest. This cosy looking barndominium features a classic wooden exterior, with the traditional barn roof which is known as a gambrel roof, which is supported at the front with wooden beams. Bandominium’s like this one is best suited for you if you prefer a rustic style, which has been increasingly popular with families and individuals. In fact, this design has been pinned over 54,000 times on Pinterest. 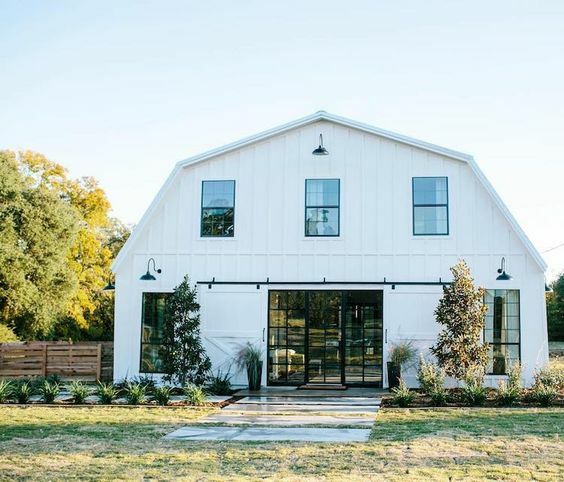 On the other hand, you could opt for a barndominium like this popular image on Pinterest, which has been transformed from a rustic barn to a modern barndominium for sale. While it still has the traditional gambrel roof and barn shape, it has been brought to the modern day with contemporary windows, doors and lighting fixtures. This image has been pinned 3,000 times. With 2,000 pins on Pinterest, this contemporary barndominium has a more open design, using glass as the primary material for one of the walls, to allow a lot of natural light into the interior space. 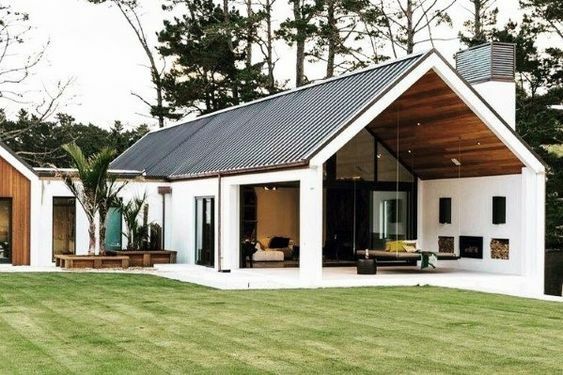 This is one of the many ways that you can customise your barndominium from many steel building providers who offer a design service, as you can choose your materials and the shape of your home. Some barndominiums can be built to match your needs in regards to your interior living spaces, but they can also cater to outdoor living too. 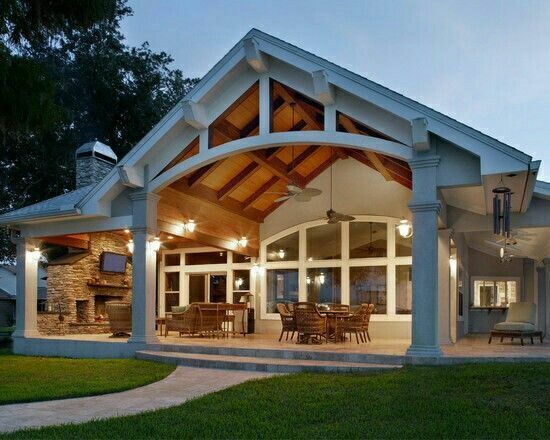 In this design which has been pinned 2,000 times, you can see that the owners of this barndominium have created a sheltered outdoor space, complete with lighting, ceiling fans and TV area, which connects with both the house and the garden. This could be an excellent fit for warmer climates, where you might want the protection of a roof for any potential rain, but having a space big enough to comfortably lounge in. Many barndominiums mix both modern and traditional barn styles, such as this conventional looking barndominium which is made from both metal framing and panels, as well as stone cladding. This means the owners can benefit from the advantages of using a sturdy metal which is long lasting such as steel, with the aesthetic benefits of using stone or faux stone. 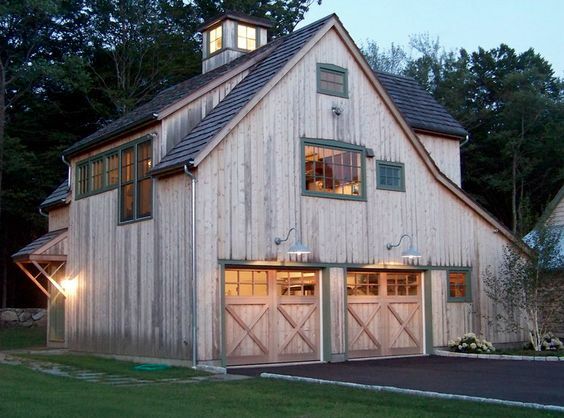 On Pinterest, this barndominium design has been pinned over 1,000 individual times. Barndominiums can be used for multiple purposes, including as a living space, as well as for storage such as your personal stock of items as well as for your vehicles. 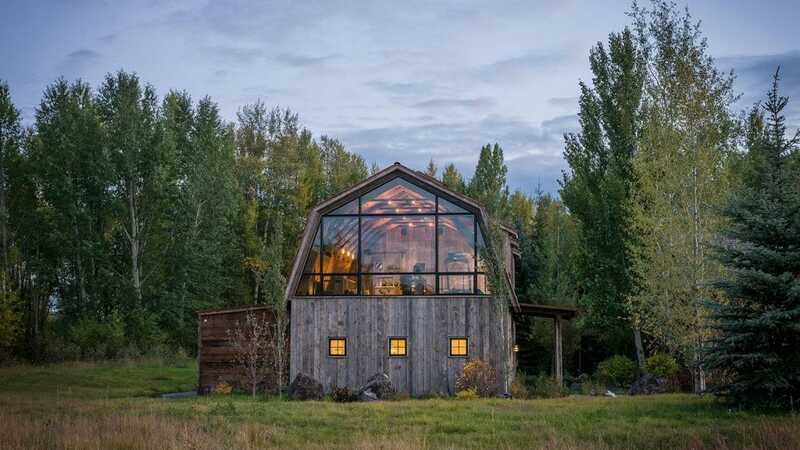 In this favourite barndominium design on Pinterest, which has been pinned over 600 times, half of the barndominium is made from wood, but the top half has been built primarily out of glass, to allow for natural light and views to the land outside. Another notable feature is the side of the barndominium which features two garage doors, which are used to store the owner’s vehicles and equipment. One of the main advantages of choosing a barndominium for the style of your home is that you can completely customise your structure to match your needs. For instance, in this popular pin with 2,000 repins on Pinterest, the barndominium has two wide garage doors which could lead to a space that can be used for a workshop, or where you can work on your vehicles. This could be an excellent choice for owners that want dedicated space for their hobbies and crafts. 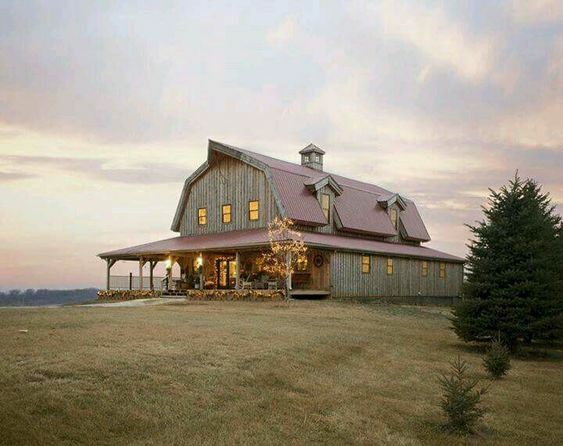 When dealing with lots that might not have traditional levels for building can be difficult, but this barndominium design which has been pinned over 2,000 times shows that you can create an excellent structure even on sloped lots. 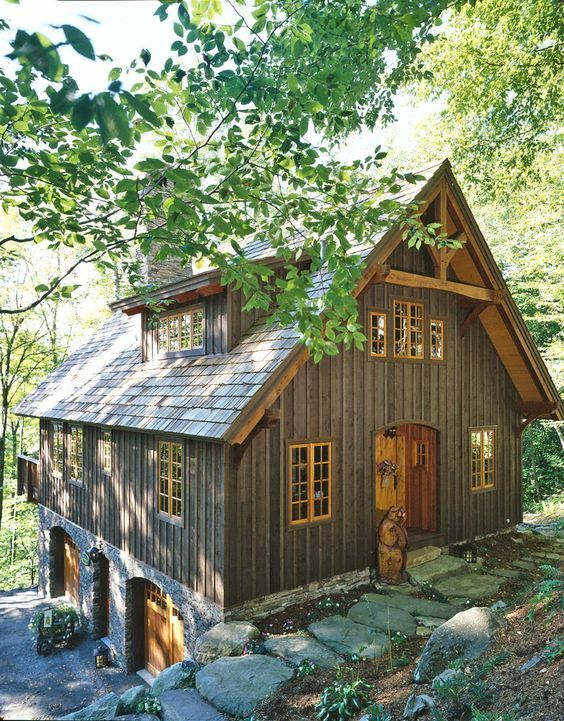 This owner has primarily used wood for their barndominium’s exterior, which gives this building a traditional look which they have reinforced by using stones and carvings on the outside of their home. Their house also features storage space for equipment and vehicles. 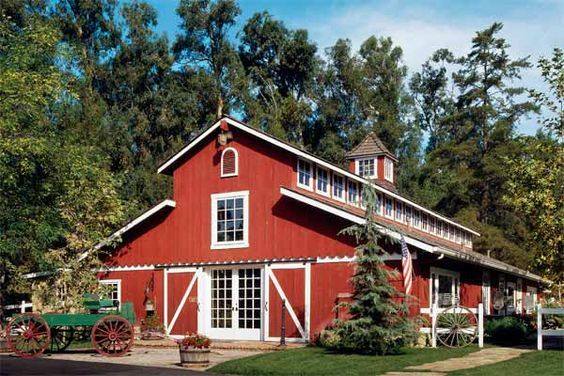 This red barndominium is styled similarly to a ranch building, with traditional sliding barn doors and high ceilings in the interior of the home. For this barndominium, the owners have chosen to use timber as the primary material for their barndominium, with classic barn styles for their windows and roof. The conversion of older buildings like this one is popular on Pinterest, with over 800 pins from users around the world. Cabin barndominiums like this design have become increasingly popular, both for homeowners as well as for holiday homes in the countryside. Traditionally, these types of barndominiums will be made either from wood or a combination of a steel frame with wooden cladding to give that rustic look. 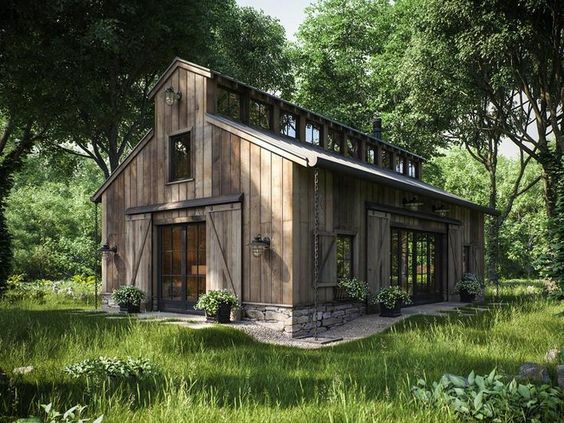 On Pinterest, this cabin barndominium has been pinned over 2,000 times, making it one of the most popular designs on this social networking site today. 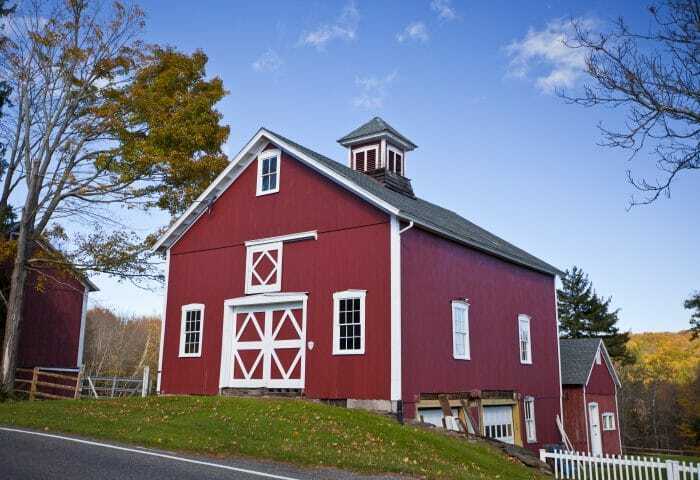 In conclusion, barndominiums are a trend that is still currently growing and doesn’t show any signs of slowing down or becoming less fashionable, which is evidenced by the thousands of popular images online today. Have you found the barndominium of your dreams? Check out the Green Building Elements guides to find out more about different building types, including information about the uses of prefabricated barndominiums. Journalist and web content creator for Green Building Elements.